It's not easy being a referee. Football is a passionate sport and reason often goes out the window when you’re cheering your side on. I recently saw a referee berated for an entire 90 minutes for being out of position during an Under 8 house league match. 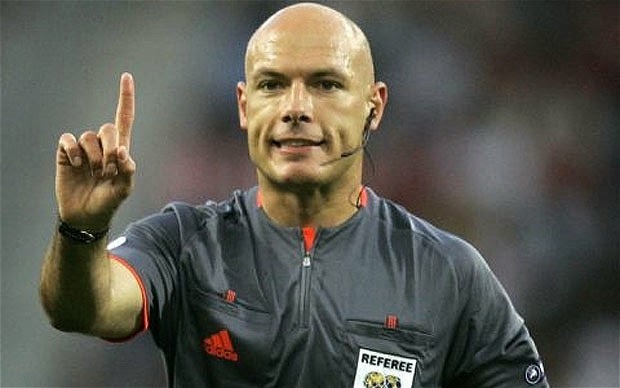 The fact that the referee was only a 14 year old girl, trying to save up some pocket money for One Direction tickets, meant nothing to the angry mob. She had missed a hand ball and was obviously the worst person on the planet in that given moment. Sure, some people are just assholes, but you've got to develop an armadillo-like thick skin if you're going to make it as a referee. Most decisions you have to give on the pitch are quick, snap calls that often aren't that straight forward. You don't have the benefit of instant replay and if your assistant referee is too busying thinking about how they get the caramel into a Caramilk bar, rather than watching the match, you might be in trouble. As a fan, if a 50-50 call goes against the team you're supporting, I guarantee you'll be questioning the virtue of the referee's mother. In the park, you and the referee only get to see an incident once, but on TV you end up seeing twenty replays, from six different camera angles in slow motion. If glorious HD proves the referee was correct in their decision, unless you're a blithering idiot, you'll nod your head sadly and say, "OK, maybe he did elbow him in the throat." Even in a high pressure World Cup match a ref though will only see a play once, and will rely heavily on their vision, interpretation of the rules and their gut. 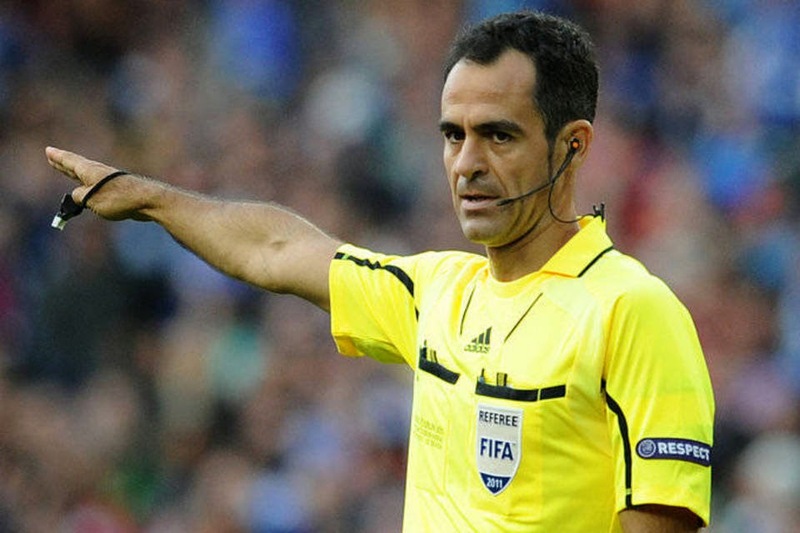 That's why it's crucial that FIFA appoints the best possible referees to handle matches in the Finals. For all of the terrific football played in this World Cup there has been some shocking refereeing decisions that have marred the tournament. As the knockout stages have unfolded it has begun to impact the quality of football on show and, arguably, some of the outcomes. As good as the group stage was, it started on day one when Japanese referee Yuichi Nishimura gave Brazil a very soft penalty against Croatia. That was nothing compared to the injustice served up to the Ivory Coast though, as they saw themselves cruelly dumped out of the competition when Greece's Georgios Samaras basically kicked himself in the ankle to win a last minute penalty. Meanwhile, Italians everywhere felt aggrieved when Uruguay's Luis Suarez sunk his chompers into Giorgio Chiellini and the incident was missed by the referee and his assistant. Sometimes the match officials really aren't helped by the players though. 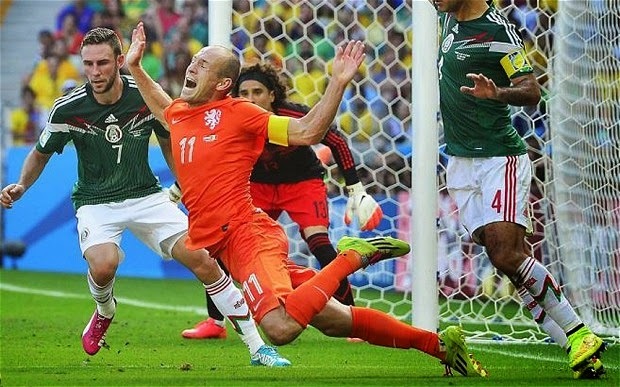 When the Netherlands Arjen Robben flung himself to the ground to win a last minute penalty against Mexico in the Round of 16, he sold it better than a quick talking used car salesmen. There had been the merest of contact from Rafa Marquez, but Robben threw himself through the air like he had just been hit by a Mack Truck. A call like that is very difficult for a referee to make and although it was very hard on Mexico you see that call given more often than not. As good as Robben has been in this tournament in leading the Dutch to the Semi Final, some of his diving antics have been absolutely pathetic. One thing that referees could do a better job on in this World Cup, is to stamp their authority on a match a bit quicker. In the Brazil vs. Colombia Quarter Final last Friday, the Brazilians clever tactic for stopping James Rodriguez was to kick him up in the air. A lot has been made of Neymar's back injury, thanks to a flying knee from Juan Camilo Zuniga, but Brazil had been allowed to set a brutal early tone on the match and Colombian's were certain to respond. This match contained a staggering 54 fouls and it was only in the second half that the referee booked anyone. The official should have carded a few players right off the bat, and perhaps called the captains over with the instructions to cut the crap. He didn't and as a result never had control of the match. Neymar’s injury was terrible, but it came about due to Brazil manager Luiz Felipe Scolari sending his team out with the clear instruction to break up Colombia’s play through rough house tactics, the referee failing to put a stop to it and the Colombian’s responding. The match left a very bitter taste in the mouth and now one of the brightest stars of the tournament is out with a serious injury. 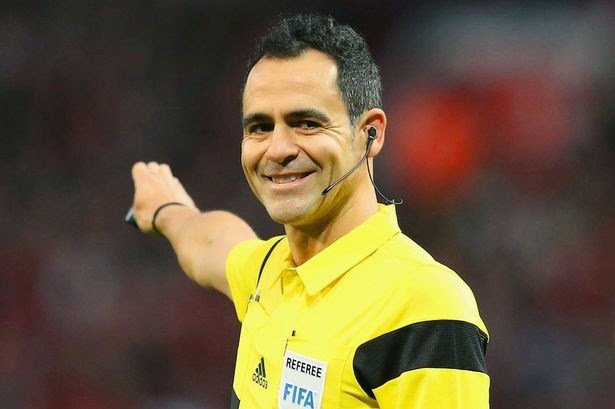 Besides the rough stuff, the hapless Carlos Velasco Carballo from Spain and his assistants also wrongly disallowed a Colombian goal for offside and should have sent off Brazil's Julio Cesar when he lunged in on Carlos Bacca which resulted in a penalty. Performances like this, with so many key decisions favouring the home side, have people crying "fix", but I don't think that's the case. Referees, like it or not, are human and get caught up in the emotion of the moment. Also, if they aren't a strong character they will definitely feel pressured by a partisan crowd to give close calls to the home side. If anyone started watching this World Cup thinking that Brazil weren't going to get a few soft calls in their favour, they haven't been watching football for long. Heading into the Semi Finals, let's hope that the referees don't bow to crowd pressure, get the big decisions correct, and are strong, but still let the players play. Easier said than done really.